Do you love reading and gaming? Here are two authors you need to get to know! 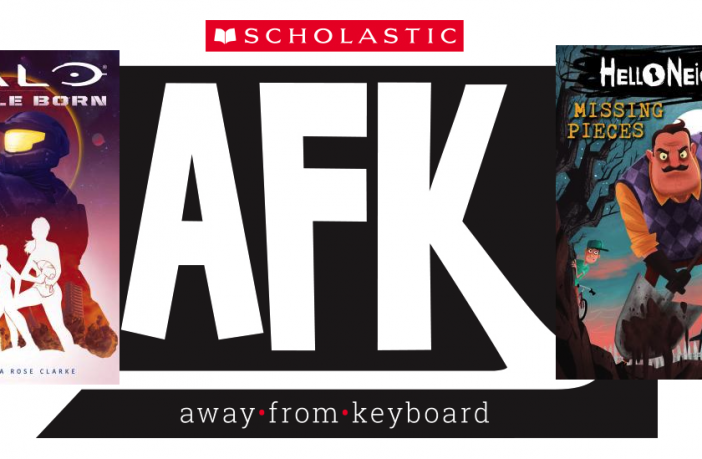 Scholastic’s new AFK imprint is bringing together two amazing forms of entertainment: Books and video games! The publisher is offering readers new chances to explore the worlds of their favorite video games through original stories, guidebooks, and tie-ins, including plenty of new YA offerings. 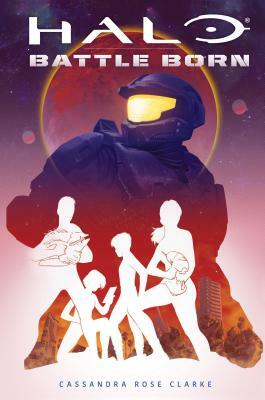 Thanks to AFK, we had the chance to ask Cassandra Rose Clarke, author of Halo: Battle Born and Carly Anne West, author of the Hello Neighbor novels, about adapting from the screen to the page, their experience as women who love gaming, their personal favorites in both worlds, and more! What was the first video game you were really obsessed with? Carly Ann West: Is it completely predictable to say Mario? But seriously, Nintendo wove itself into my formative years, so it’s impossible for me to not have a Pavlovian moment when I hear that Mario-just-got-a-star-and-now-he’s-invincible sound. You know that one. My heart is racing just thinking about it. Oh and Tetris. Ahhhh Tetris. Cassandra Rose Clarke: Probably Myst, which was a computer game where you were thrust onto a mysterious island and had to solve riddles to find your way out. It was, at the time, notoriously difficult, and I remember pouring over the guidebook and circling endlessly through the world, randomly clicking on things to no avail. How does your love of gaming inform your work as a writer? CRC: Video games have a unique approach to narrative. They are essentially second-person stories–as the player, you’re forced to inhabit the world of the character, and so the story in a video game unfolds in a cool, puzzle-box way. I think playing video games as a kid shaped the way I see stories in general. While I don’t consider myself much of a gamer these days, I was introduced to the interactive storytelling of video games at a really formative age, and I think that carries through the way I approach structure and characters in my writing now. CAW: What Cassandra said! Also, I was always intrigued by the universe building in the gaming world. Growing up, when I would play, I wanted desperately to know what was going on just over this or that horizon in the graphics, or what was seemingly just out of the frame on the screen. I thought if I could get my character to inch a tad more to the left or right, I could see an entirely new world. It encouraged me to imagine what that would look like, and I found myself getting lost in my own storylines after I was done playing the game. Now I sort of get to do that professionally. What have your experiences been like as a woman in gaming? How does it compare to your experience as a woman in publishing? CAW: Apologies come to mind. Gaming when I was growing up was seen as more of a boy’s endeavor, and if I messed up, I more often than not felt compelled to apologize. If I got frustrated, I was embarrassed to show it (so unladylike). Later in life, when workshopping my writing, I was (and in many ways still am) tempted to apologize for the work I choose to share. If I get a negative response, I tend to see failure, and it embarrasses me. I’m highly self-critical and painfully self-conscious. I feel like those responses could be applied to any number of efforts I put forth, and it’s become a constant effort on my part to overcome those automatic responses. 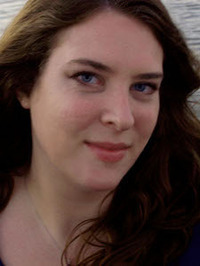 CRC: As in Carly’s experience, gaming was seen as more of a “boy’s thing” when I was younger–even well into the time I went to college, which was in the early 2000s (although things were slowly starting to change at that point). I always felt a pressure to be the Best Ever if I played a video game, that the boys I played with wouldn’t respect me as a gamer if I didn’t kick their butts every single time. Unfortunately, I’m not actually that great at video games, so I was definitely not kicking butts on the regular. That feeling of inadequacy made me feel like there was no point in me gaming, regardless of how much I enjoyed it. 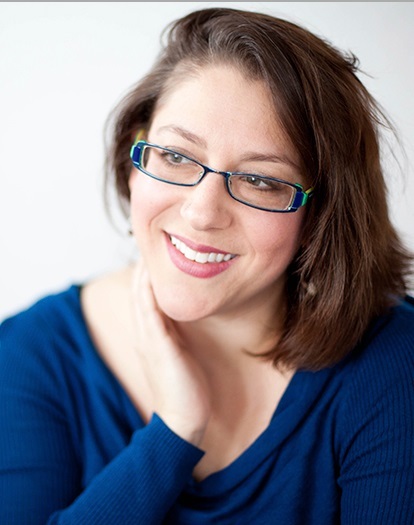 With publishing, I never felt this as strongly, and I think it’s because no matter where I was at the publishing stage–from college workshops to graduate school MFA to signing my first contract–I was never the only woman in the room. Even when MFA bros tried to belittle my work as being too feminine (and it was known to happen), I had a bunch of awesome ladies in my corner to back me up. If I’d had that when I was rage-quitting Super Smash Bros. in college, maybe I wouldn’t have given up so easily! What was your approach to molding a game into a novel? CAW: For HELLO NEIGHBOR, I came into the project at a really interesting time in the game’s journey. The developer, tinyBuild, is an awesome collaborator. They’re passionate about the games they develop, and they maintain the sort of start-up mentality that makes them eager for ideas, and what I quickly learned in working with them is that they want to hear all the ideas, even if (especially if) they’re bonkers. 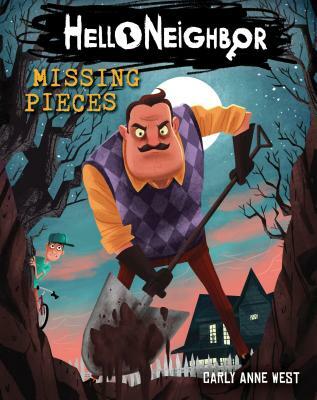 As a relatively new game, HELLO NEIGHBOR’s canon is as yet unknown to most, and that’s allowed me to have a hand in molding that story in a way I might not have been able to with a more established lore for a game that’s been around for a while. And because HELLO NEIGHBOR is such a trippy game, I’ve had a lot of material to mine. Honestly, my biggest challenge has been sidestepping all the rabbit holes I’m tempted to fall down. CRC: When I was writing Battle Born, I wanted to replicate the experiences of playing Halo as best I could. I thought about my favorite aspects of the game from back when I was playing it: encountering the different Covenant species, interacting with Cortana (my eternal fav), and learning the terrain of each new level. Each time the characters in Battle Born encounter a member of the Covenant, I imagined it as a level in the game. So here’s a level at a concert on a sinking ship, here’s a level in the jungle, and so on. I thought about how a first-person shooter like Halo uses shorthand storytelling devices to build up a player’s power (Oh, look, you just happened to find a Covenant energy sword! Now you get to use it!) and then developed those devices to fit in a novel. If you could write a novel based on any other game, what game would you choose and why? CRC: Katamari Damacy, which remains to this day my favorite game of all time. Yes, I’m talking about the game where the alien prince rolls everything in the universe up into a giant ball to make a star because the King of All Cosmos accidentally destroyed some celestial bodies. It would be an A M A Z I N G cosmic horror story and nothing will ever convince me otherwise. Who are some of your favorite fierce female gamers? What about authors? CAW: Oh, I have so many favorite fierce female authors — Nina LaCour, Teresa K. Miller, Laura Joyce Davis, Martha Brockenbrough, Elana K. Arnold, Stephanie Kuehnert, Stephanie Kuehn, Angie Thomas, Marie Lu, Kim Baker, Elsie Chapman, Hye-Young Pyun, Lorrie Moore, Yiyun Li, Mary Karr, Shirley Jackson, oh and you may have heard of Cassandra Rose Clarke? 🙂 But seriously, this list doesn’t even scratch the surface. And YYYEEEESSS Cassandra. The army of “I’m not a gamer” female gamers. You’re heroes. I want to play with each and every one of you. First off, I want to give a shout-out to all the girls and women who play video games but don’t necessarily think of themselves as “gamers” — we are legion! As for fierce female authors, like Carly, I have tons: Margaret Atwood changed my life in high school and continues to be fierce and feisty in her old age. And coming from the world of science fiction and fantasy, so many female writers pushed through the boys’ club there, too, bringing in a wide range of amazing perspectives: Ursula K. Leguin, Nnedi Okorafor, Joan D. Vinge, Tannith Lee, Kelly Link, Martha Wells, Maureen McHugh, and the High Queen herself, Mary Shelly. Ready to dive into these authors’ fierce gaming novels? Check out Halo: Battle Born via Amazon or Hello Neighbor via Amazon, or support your local independent bookstore via Indiebound!